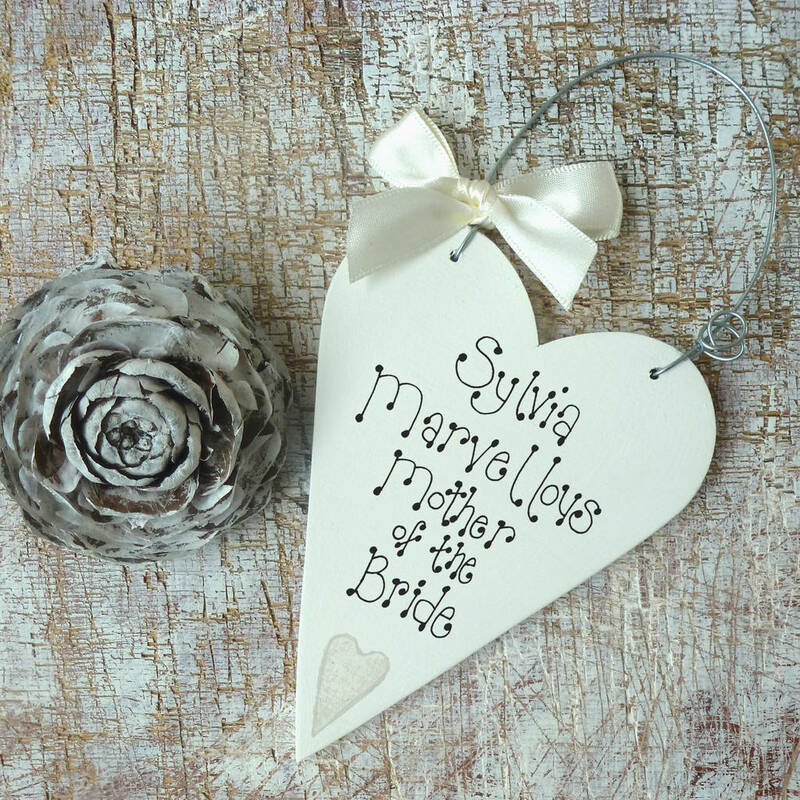 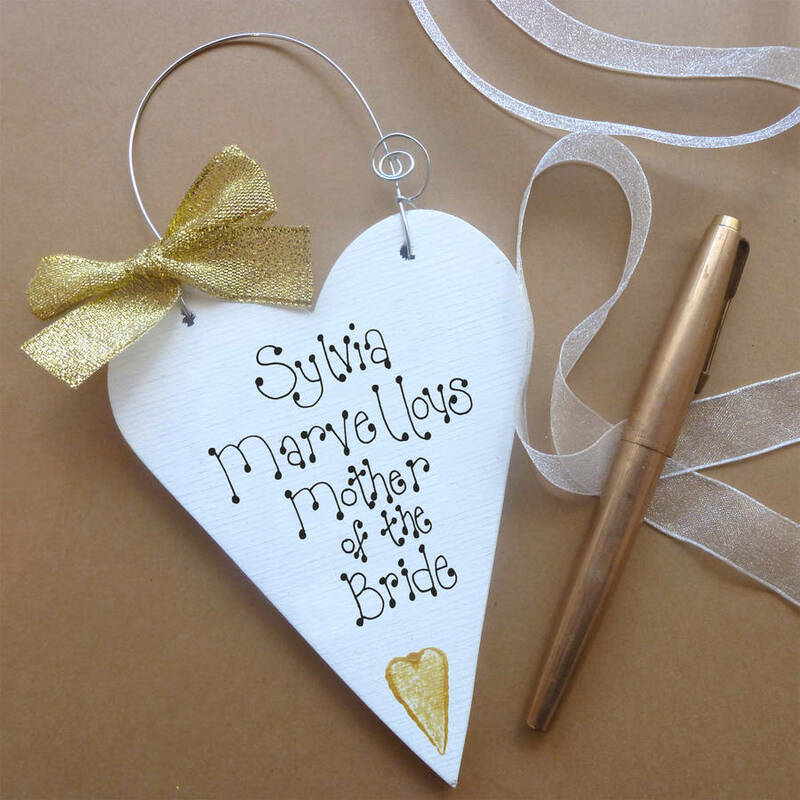 This lovely Personalised Message Heart makes a marvellous memento for the Mother of the Bride! 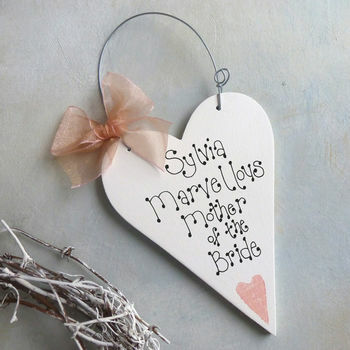 These decorative wooden hearts bear your own personal message. 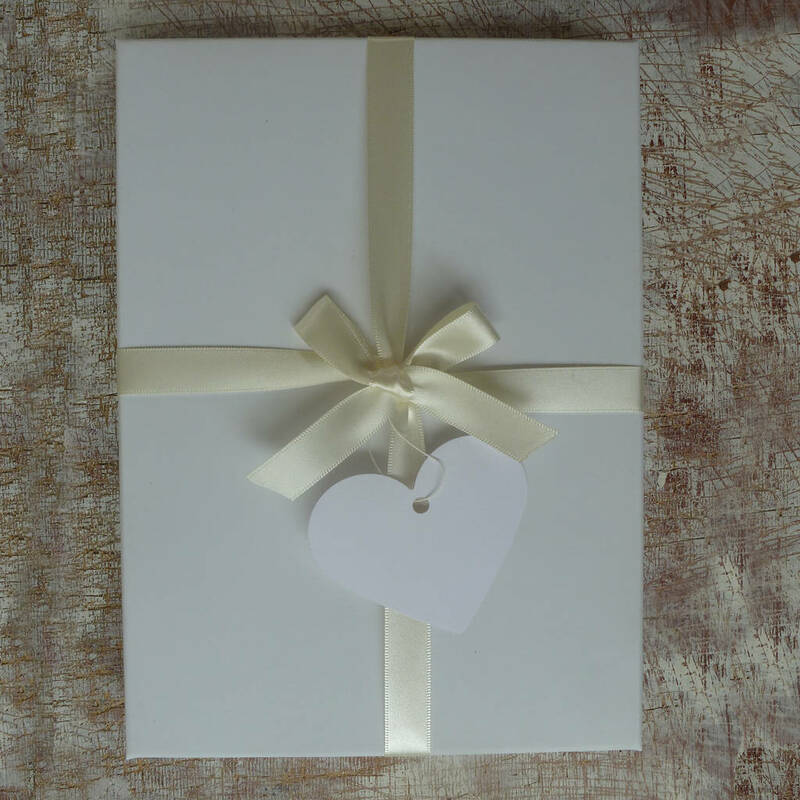 A pretty Gift Box with Ivory Ribbon comes ready filled with wood wool and a heart shaped gift tag. 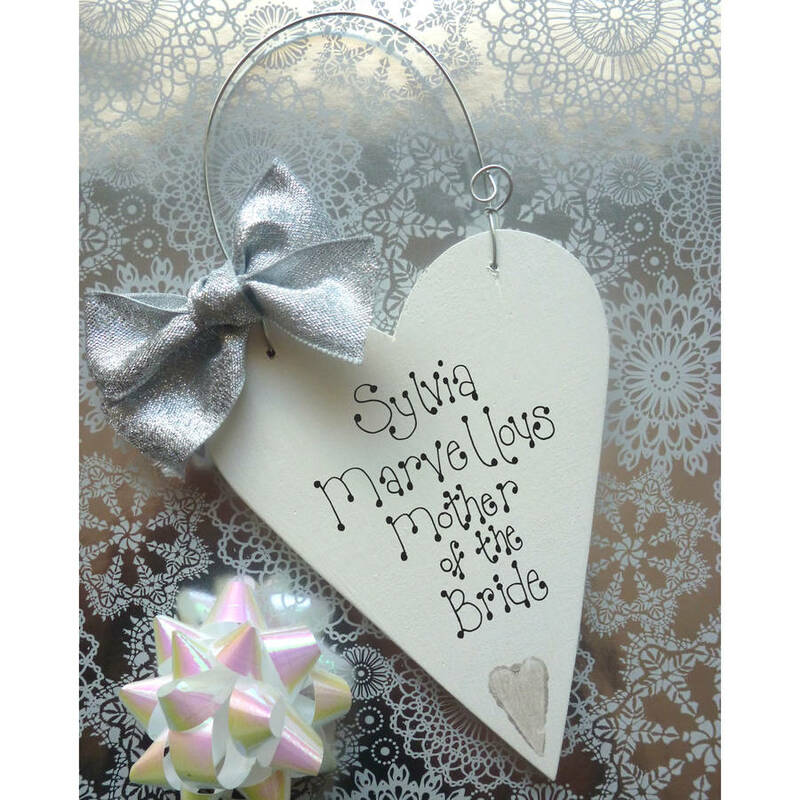 Please enter your personalised details in the box above. No more than eight words. 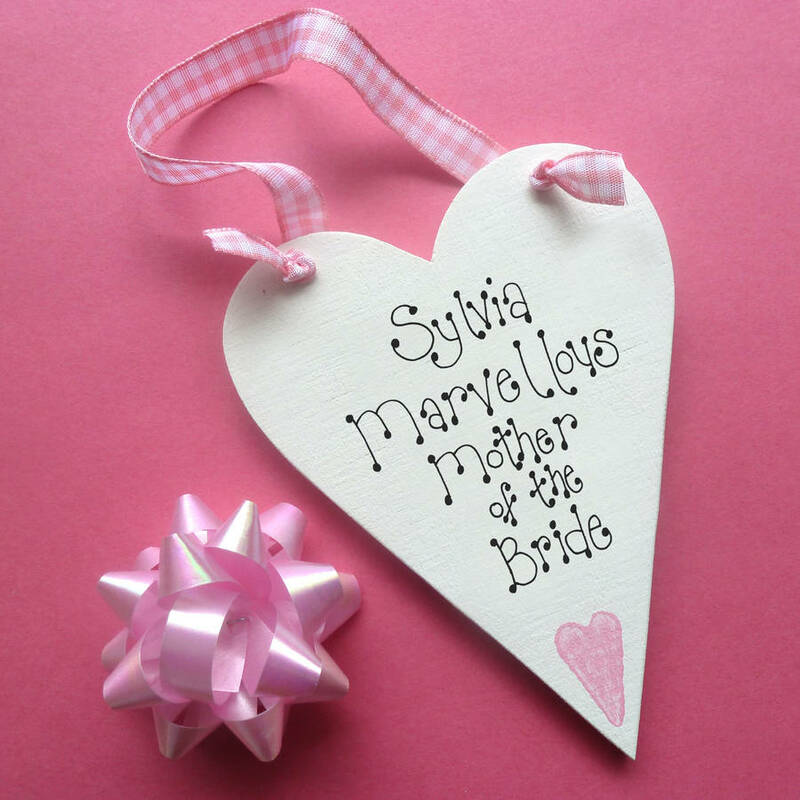 Up to 2 Message Hearts per Gift Box Maximum.